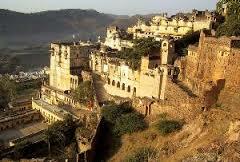 -Bassi Town is a sub-division of Jaipur district in the state of Rajasthan. 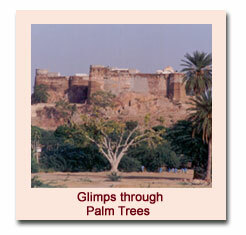 It is approximately 30 km from Jaipur city. The sub-district had a population of 229,639 (2001 census) spread over 210 villages. Bassi town is Gram Panchayat and situated on NH 11. About 27 km from Dausa. Madhogarh village is located in Bassi Tehsil of Jaipur district in Rajasthan, India. Bassi is nearest town to Madhogarh village. The picturesque Madhogarh fort is situated on an elephant back shaped hill, surrounded at hill slopes by the typical Indian village dwellings that reminisces a feudal bastion. A typical Rajasthani village, Madhogarh, has communities of potters, carpenters, cobblers, and carpet makers still plying their trade in the centuries old traditional way. 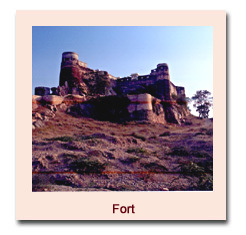 The Madhogarh Fort and the area around witnessed one of fiercest battle on earth. The decisive battle between the Rajputs and Marathas was fought in the plains of Tunga, just one kilometer from Fort Madhogarh, on 28th July 1787. The battle started at 9am and lasted till about one hour after sunset. 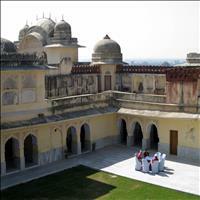 The fort is a hereditary estate, belonging to a Rajput of the Bhati clan. Thakur Shiv Pratap Singh, the fifth generation direct descendant, now looks after the property. 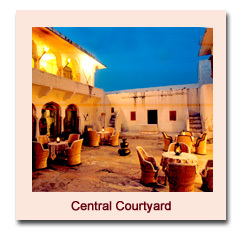 Guests are allured to experience the famous rajput hospitality and relive the glory of the bygone age. Bassi is influenced by the local steppe climate. There is not much rainfall in Bassi all year long. The temperature here averages 25.4 °C. In a year, the average rainfall is 556 mm.